NO. 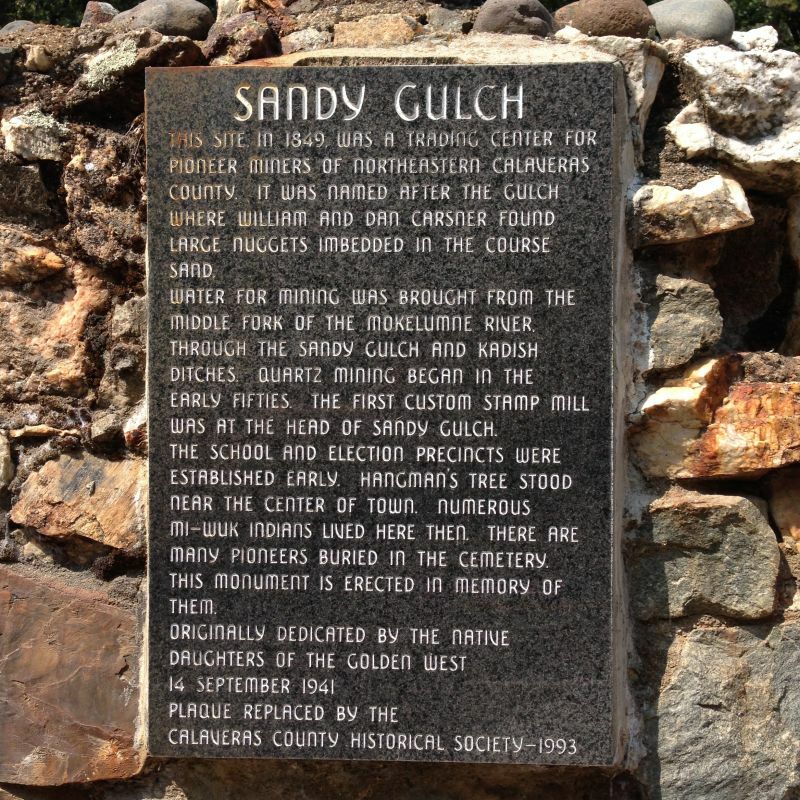 253 SANDY GULCH - This monument was erected to the memory of pioneers of Sandy Gulch, 1849 trading center for miners of northeastern Calaveras County. 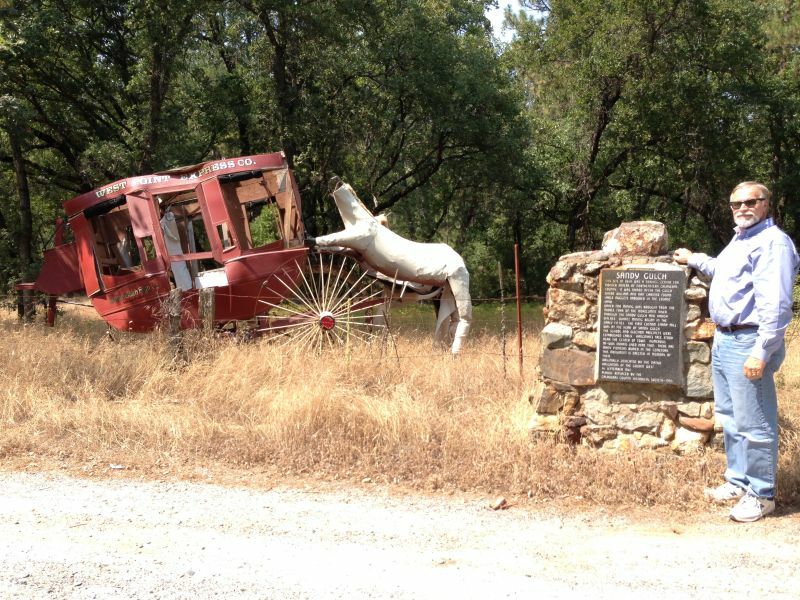 The settlement, in an area that was home to many Miwok Indians, was named after the gulch where William and Dan Carsner found large nuggets of gold embedded in the coarse sands. 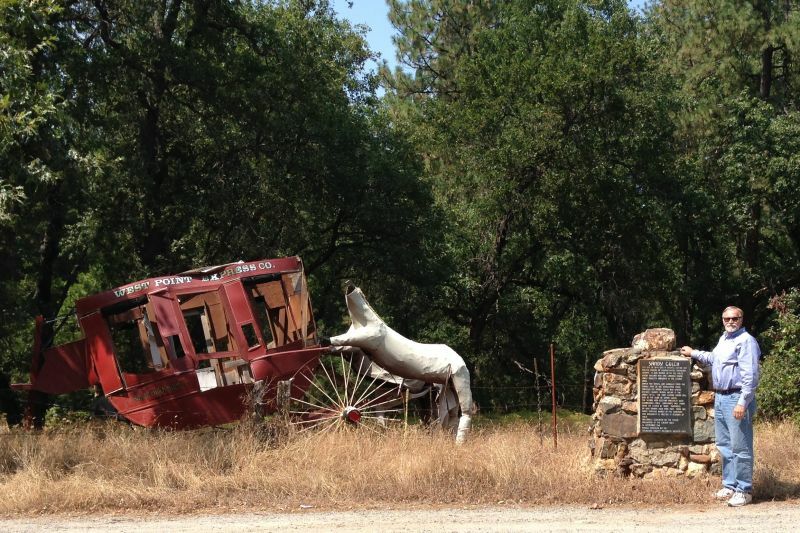 Water for mining was brought from the middle fork of the Mokelumne River through Sandy Gulch and Kadish Ditches - quartz mining began in the early 1850s, and the first custom stamp mill in the district was located at the head of Sandy Gulch. School and election precincts were established early, and one of California's many Hangman's Trees stood near the center of town. On north side of SR 26 (Stephen P. Teale Hwy), 0.4 miles west of Associated Office Road.